a traveling international arts project that asks the question, "Why?" The Scrolls,” is an international discourse and “rolling” conversation amongst artists regarding the war in Iraq, including works by 8 Iraqi artists currently living in Bagdad. The exhibition also contains a scroll created by artists from Washington, DC and Arlington, VA. The exhibition asks the question “Why?” the War…Mary Walker of South Carolina sent a piece called “Why” to a number of her colleagues and asked them to add to it in the manner of a scroll. Seven scrolls were created; They opened at the City Gallery at Waterfront Park, sponsored by the City of Charleston Office of Cultural Affairs in 2005. The Scrolls make their debut in the Washington area at the Museum of Modern Arf in Arlington, VA.
in addition to a number of the artists who contributed to the Scrolls. "Don't Bring No Bad News"
The exhibit focuess on positive imagery that reflects the African American experience. It captures our spirit, our hopes, our joy, our laughter, our faith and the inspiration we encounter everyday in our lives. 3. Between the aggregate and the viewer. James Cottrell, an anesthesiologist interested in the human brain, and his partner, Joseph Lovett, interested in the lives of artists, were among the "top" 100 Collectors of 2001 named by Arts and Antiques magazine. They have assembled work throughout the career-spans of many of the artists they regard. Curator Sue Scott took the opportunity of their domicile renovation to assemble their trove, which then became a traveling show of paintings and works on paper that began at the Orlando Museum of Art, and is currently on view throughout two floors of the Chelsea Museum. 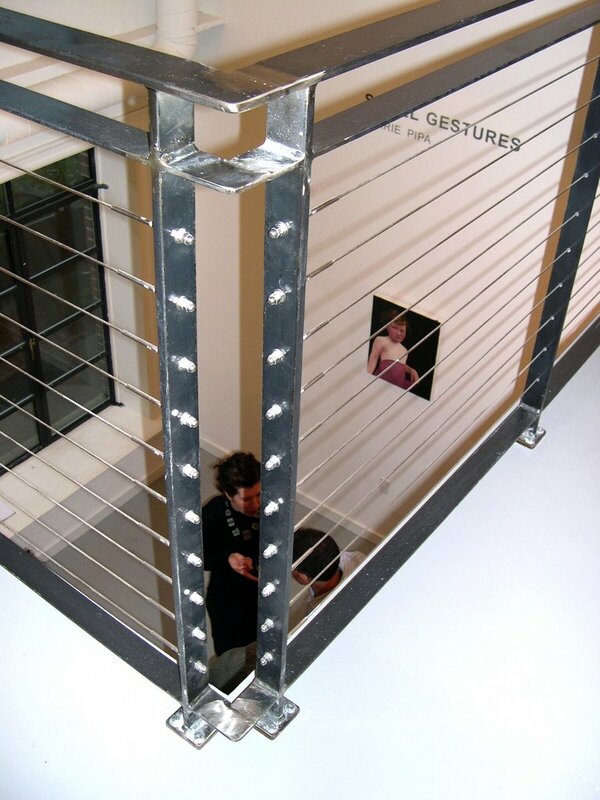 Most of the pieces share several visual characteristics, and one definite, but more ephemeral aspect: methodology. For its 14th edition, Art Chicago, one of the largest American contemporary art fairs, will host 125 galleries. From 28 April to 1 May. Art Chicago announces a change in venue from Butler Field to the historic Chicago Merchandise Mart, 8th Floor exhibition space. With the generous assistance of the Merchandise Mart Properties, Inc., Art Chicago has been given the opportunity to mount its International Exposition of 104 dealers in one of its massive exhibition halls! 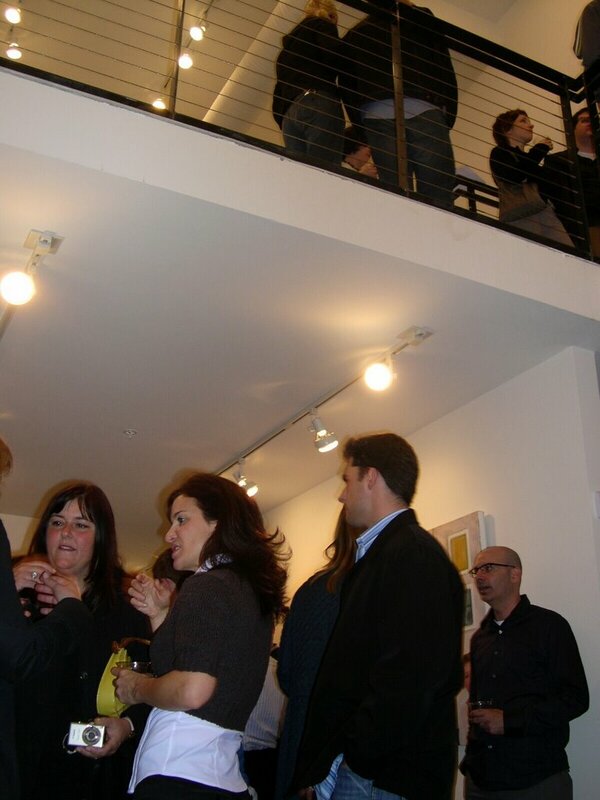 Please join us Thursday April 27th from 6-10 pm for the opening night of Art Chicago 2006. The fair will be held at the Chicago Merchandise Mart on the 8th floor exhibition space. Ever wonder what happened to the animal public art projects? Well, it seems tha tthey're all the rage in Paris. Fancy that! PARIS – Crowned by its success in various countries (last March one could see painted cattle in Mexico City, in the Chapultepec park), the Cow Parade is finally landing in Paris. The principle is simple: glass resin cows are scattered throughout an itinerary taken by many people (in Paris, the axis between the Arc de Triomphe and the Concorde). Each one of these ruminants, symbols of peace and placidity, is decorated with the help of a sponsor, by an artist who gives free rein to his inspiration. Among the participants, Thierry des Ouches, Marika de Moro Giaff eri,Yanne Kintgen, Hubert Le Gall. Colours, motifs or materials: all is possible except to sacrifice the cow. Cow Parade in Paris, from 26 April to 16 June 2006. Come the late fall of 2006, this sleepy 17th century Dutch village will see the world’s first museum devoted solely to abstract art and abstract thought as it relates to the arts and sciences, global and corporate stewardship. The Yellow Fellow Foundation is the brainstorm of art collector and business entrepreneur, Jan Verhoeven, and his partner, Menna Kruiswijk, an MBA who shares his abundant enthusiasm and eye for art. The majority of the work is by abstractionists whom Verhoeven and Kruiswijk feel history and the art market have ignored. A signifying artist in the collection and for whom the name Yellow Fellow is derived, is Erik van der Grijn ("yellow fellow" is his nickname). Van der Grijn, now residing in Argentina, was picked up by Verhoeven around 1984 in Amsterdam. Van der Grijn had just returned from 20 years of creating and exhibiting muscular, large, abstract paintings for an appreciative, buying public in Dublin. "Of course the new dictum, ‘It’s art if the artist says it’s art,’ still has to include abstract painting and sculpture. As far as the ‘art object’ being passé, conceptual artists still create art commodities in the form of documentation of their events or work. So, their point about de-materializing art never, ever occurred, despite the predictions. If artists want to add ‘meaning’ as the new value in art, that’s fine–but it doesn’t make the Ab-Ex artist passé. The fact is what moves me personally is a chance to buy the work I love and then to share it. I chose the work by the deep feeling it conveys, not by what the critics had to say." It's always interesting to see how other countries/ galleries conduct business with artists. office with the artist--as many a musician does--may have legs. artists have shock, scenery, sophistry or sales on their minds. make a living from it. established by painters Jack Chambers and Tony Urquhart. categories (1-4), the rate is the standard rate plus 10%." Women's Caucus for Art of Greater Washington, D.C.
WASHINGTON, D.C. - Artwork by Members of the Women's Caucus for Art of Greater Washington, D.C. (WCA/DC - www.wcadc.org includes works by women artists from Northern Virginia, Maryland and District of Columbia. WCA artwork will be on view from April 5 through April 29, 2006, in Gallery West Goodwin House Bailey's Crossroads located at 3440 South Jefferson Street in Falls Church, VA 22041. The Goodwin House will host the 2006 Annual Networking Day for WCA/DC on Saturday, April 29, 2006 from 9:30 a.m. to 4:30 p.m. Featured speaker is Lenny Campello, co-owner of Fraser Gallery, Bethesda, MD. Title of the talk will be: Exhibiting and Marketing Your Art. Lenny is widely recognized as a successful gallery co-owner, exhibiting artist, blog host: http://www.dcartnews.blogspot.com/ and reviewer. His talk will be a short version of his all day marketing workshop. Lenny talks the talk and walks the talk. He will use his expertise to speak about general information on exhibiting and marketing your artwork. In the afternoon, members from the Philadelphia Chapter of WCA will present: Pricing Our Art. The Networking Day is free and open to the public. Space is limited to 120 people. RSVP for event reservation and/or lunch Lunch is catered $8.00/person or bring your own. This is the original one day seminar for emerging artists, designed to give practical information and advice towards a successful fine arts career. Each seminar is limited to 50 people per session. The cost is $80 per person and each seminar is seven hours long. It's 100% satisfaction-guaranteed or your money back. We've had incredible results since we started doing this in August of 1999. This will help you as an artist -- the issues covered and discussed are not based on theory, but grounded on actual experience. The next seminar will be held on Sunday, June 11, 2006 in partnership with Art-O-Matic and the Warehouse Galleries... please send an e-mail or call the gallery at 301/718-9651 if you would like to attend. Read feedback from artists who have attended the seminar. Very important forum! If you live in the District and the arts are an important part of your life, come to this Forum to hear what the candidates have to say – and even ask some questions yourself. Or just show up to demonstrate the importance of support for the arts community. Bring a friend. 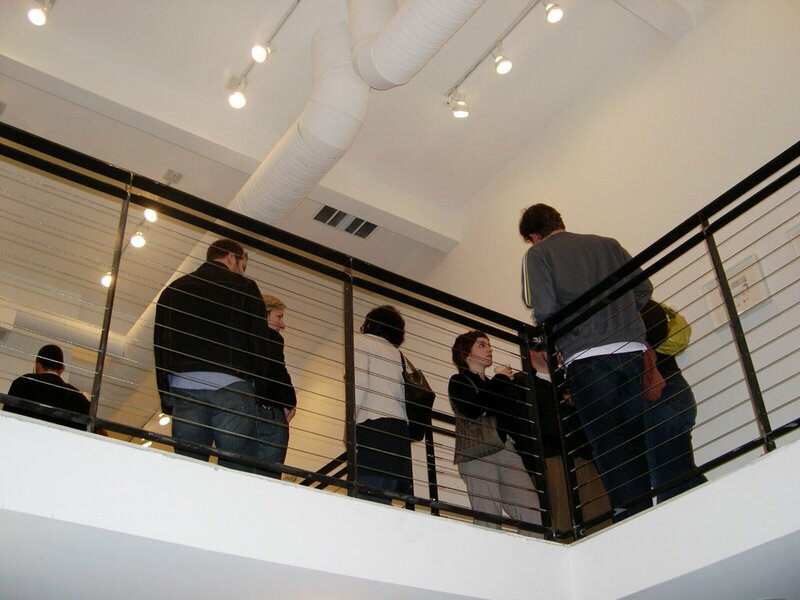 This blogger wants to fill you in on a kool new space on historic U street. One that you will want to keep your eye on and visit often. Project 4 gallery proposes a new concept for the Washington, DC hip art public. "Project 4 is a new Washington D.C. gallery that plans to be as diverse as the art world itself. That diversity— from painting to video to photography to sculpture— will be encouraged by Project 4’s exhibition model: guest curators who will bring a spectrum of exhibits not limited by the ideas of a single gallery director. It will, in effect, be a room for art and ideas." Ok, I'm excited about this new venue and wish them luck and great exposure! There's room for this creative melding of art and ideas in Washington, DC. I say, the more, the merrier. I left painting in the studio to attend Project 4's second opening tonight, an exhibit of oil and watercolor paintings by Terrie Pipa. "Pipa is a figurative artist, and the paintings chosen for this exhibit all demonstrate a mastery of detail, of subtlety, and of the small, psychological gesture." 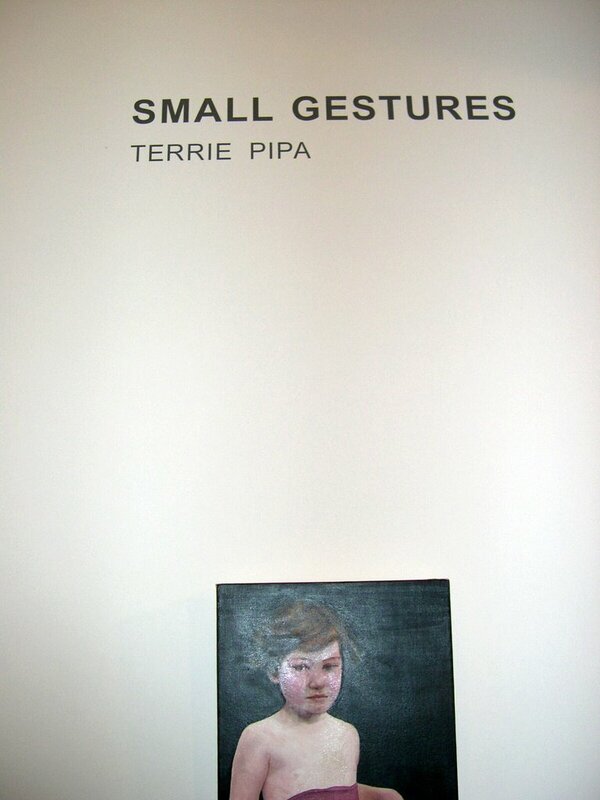 Pipa's work is well executed and striking in its ability to transfix the viewer with questions about her subjects. The storyline is left to the eye of the beholder with glances to past Renaissance masters and their penchant for intrigue. Our very own Anne Surak will be directing the events of Project 4 in the coming months. A curator in her own right, Anne will bring a plethora of contemporary, edgy visions to her new post. Here's wishing her well and lots of art visitors. 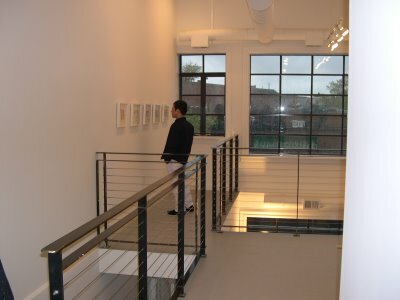 Designed by Architect Greg Kearley, the gallery is 900 square feet on two levels, including a twenty-foot double-height space. It's a contemporary space with a Soho feel to it. White walls and open space dominate. From the second floor one can look down to the first floor visitors. Let's welcome Terrie Pipa and Project 4 to the Washington, DC art scene with the enthusiasm that her art and the new gallery space deserve. 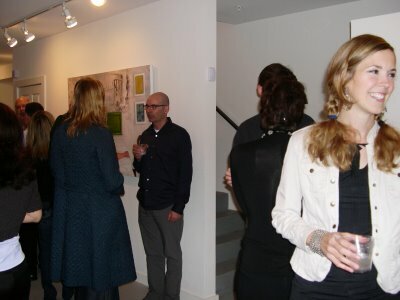 Here's more photos of tonight's jam packed opening - in the pouring rain no less! Project 4 is located at the intersection of historic U. St. and 9th St. N.W., a burgeoning area of restaurants, galleries, bars and stores half a mile east of Dupont Circle. 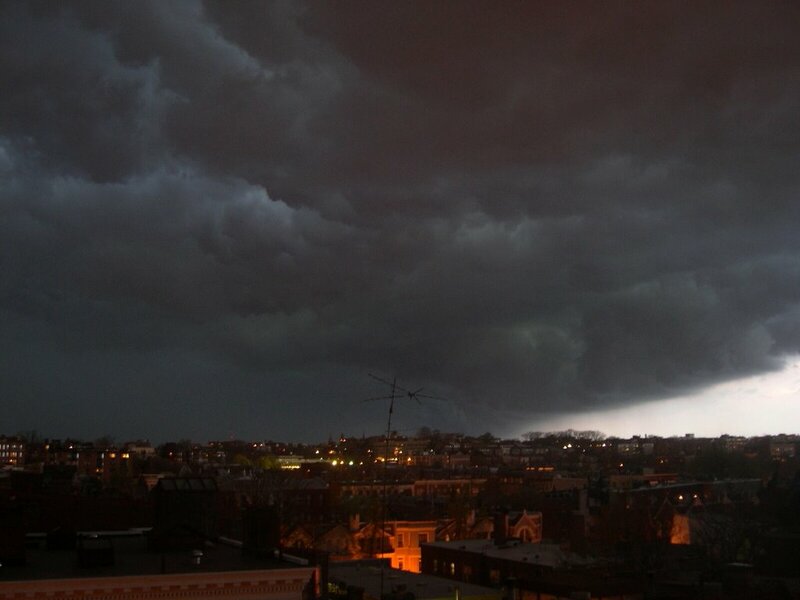 It is less than a block from the U. Street/Cardoza stop on the Metro’s Green Line. Project 4 is open Thursday and Friday 6 - 9 pm, Saturday 1 - 8 pm and by appointment. Space is available for private events. Anybody wanna go walking with the leading muralist in DC to see his murals celebrating DC's lively communities? Put your walking shoes on and show up. Artist G. Byron Peck's Shaw/U Street Mural Tour Meet outside the U Street/African-Amer Civil War Memorial/Cardozo Metro station (13th Street exit). Tour Shaw and Dupont Circle in the company of beloved DC artist, G. Byron Peck, and get an eyeful of some of his best-known Washington murals. Begin by looking back on U Street's history as Black Broadway when you consider the Duke Ellington mural and portrait. Then consider some of the cultures that contribute to this neighborhood's character, evident in the Black Family Reunion and Mayan Murals. Finally, turn your attention to the area's architectural legacy at the Dupont Circle mural. Cultural Tourism DC is offering WalkingTown, DC SPRING EDITION 2006(Saturday, April 22 and Sunday, April 23), a weekend of 50 free walking tours (and a few bike and boat tours) in neighborhoods across Washington, DC. For more information call 202-661-7581. Reservations are not required, with the exception of bike tours. Just show up! This fascinating show, mixes science, art, sociology, natural history, cultural history, and several other areas of study in looking at how artists viewed and depicted animals from 1750-1900. The ideas implicit in the show--about animal rights, evolution, and so on--are still really relevant to the current world. In the 18th and 19th centuries, modern theories of evolution and the proliferation of machines elevated animals to a new status in religion, philosophy, and the arts. This exhibition, co-organized by Carnegie Museum of Art and the Van Gogh Museum, Amsterdam, explores the ways that artists of the period addressed the issue of humanity’s relationship with nature as exemplified through our treatment of animals. Through paintings, sculptures, prints, drawings, and photographs, the exhibition shows how the visual arts drew upon science, natural history, and literature about animals, and how those fields, in turn, were shaped, inspired, or influenced by the work of artists. Designed to create visual juxtapositions that suprise, delight, and provoke, the exhibition presents great paintings and sculptures next to fossils, specimens of taxidermy, ground plans of zoological gardens, illustrated books, bird cages, and steam engines. Fierce Friends: Artists and Animals, 1750-1900 is the opening venue for Pittsburgh Roars, a celebration of the region's arts, culture, and family attractions. An illustrator friend, Loel Barr sent this over for fun. The 19th and 21st centuries meet in Penn Quarter. Hip hotels, restaurants, and loft apartments are sprouting up amidst attractions like the International Spy Museum, Shakespeare, Ford’s, and Woolly Mammoth theatres, and National Building Museum. Many of these are housed in buildings from the 1800’s, others are next store to them or their facades, which makes this walk an irresistible urban scavenger hunt to a bygone era – a time when Chinese, German, and Italian immigrants lived and worked on and around Seventh Street. Sounds like this could be a fun night. 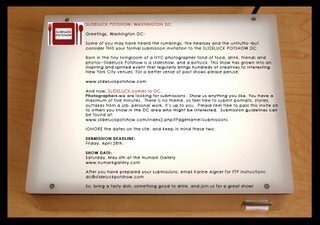 Some of you may have heard the rumblings, the hearsay and the untruths--but consider THIS your formal submission invitation to the SLIDELUCK POTSHOW DC. maximum of five minutes. There is no theme, so feel free to submit portraits, stories, outtakes from a job, personal work, it's up to you. Please feel free to pass this invite on to others you know in the DC area who might be interested. So, bring a tasty dish, something good to drink, and join us for a great show! New glass sculptures by artists who use glass as narrative rather than vessels or bowls. Challenging work that pushes the genre away from craft and towards the narrative genre of the fine arts. Work by Jeanne Brennan, Mel George, Michael Rogers, Carmen Lozar, Tim Tate, Michael Janis, Syl Mathis, Alison Sigethy and others. 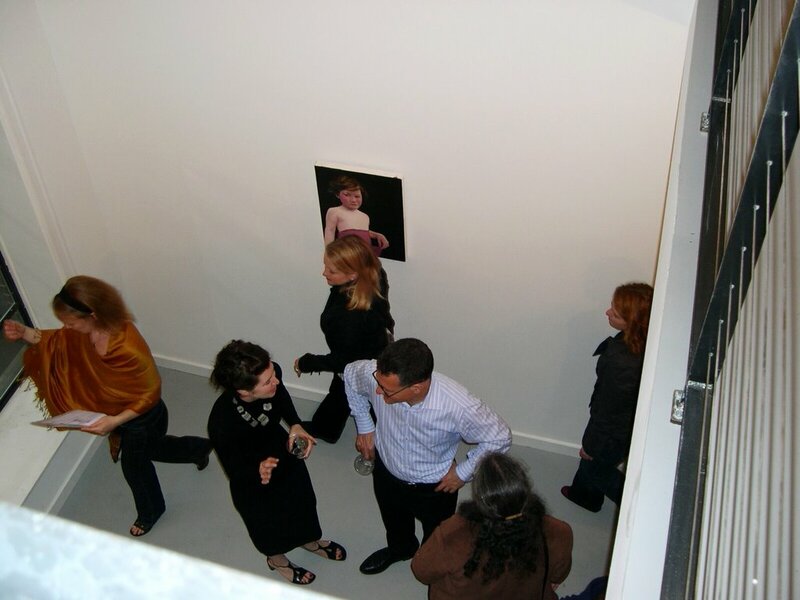 An opening reception for the artists will be held on Friday, April 14 from 6pm - 9pm. 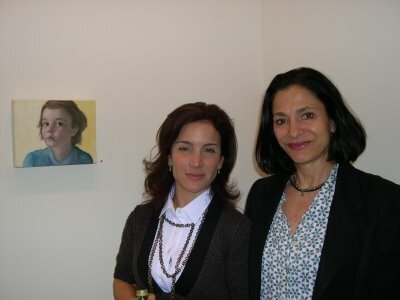 Women’s Caucus for Art of Greater Washington, D.C.
WASHINGTON, D.C. – Artwork by Members of the Women’s Caucus for Art of Greater Washington, D.C. (WCA/DC) includes works by women artists from Northern Virginia, Maryland and District of Columbia. WCA artwork will be on view from April 5 through April 29, 2006, in Gallery West Goodwin House Bailey’s Crossroads located at 3440 South Jefferson Street in Falls Church, VA 22041. The Goodwin House will host the 2006 Annual Networking Day for WCA/DC on Saturday, April 29, 2006 from 9:30 a.m. to 4:30 p.m. 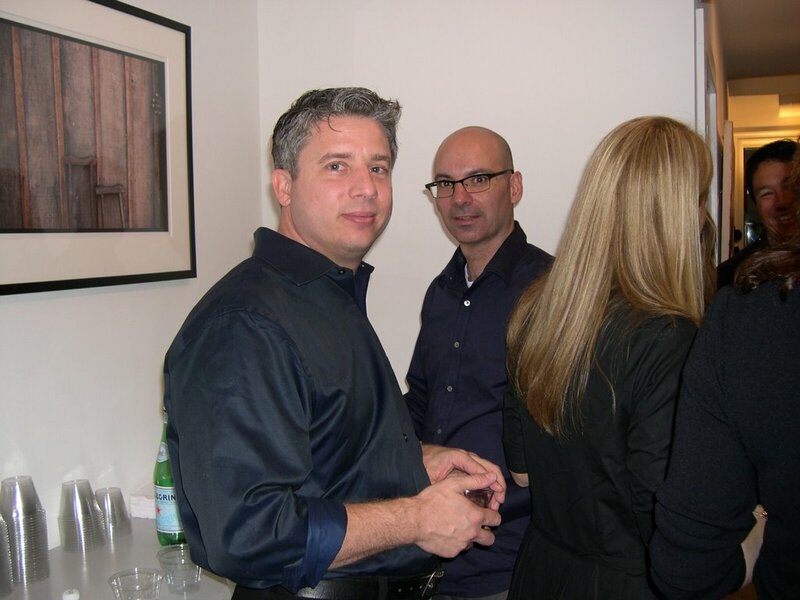 Featured speaker is Lenny Campello, co-owner of Fraser Gallery, Bethesda, MD. Title of the talk will be: Exhibiting and Marketing Your Art. Lenny is widely recognized as a successful gallery co-owner, exhibiting artist, blog host: http://www/dcartsnews.blogspot.com and reviewer. His talk will be a short version of his all day marketing workshop. Lenny talks the talk and walks the talk. 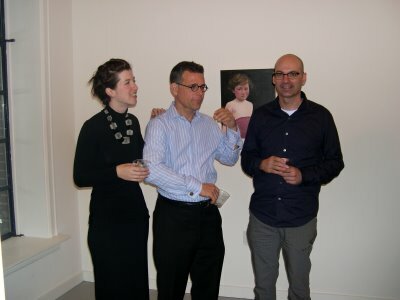 He will use his expertise to speak about general information on exhibiting and marketing your artwork. In the afternoon, members from the Philadelphia Chapter of WCA will present: Pricing Our Art. The Networking Day is free and open to the public. Space is limited to 120 people. RSVP for event reservation and/or lunch by 12:00 noon on April 24, 2006. Lunch is catered $8.00/person or bring your own. Call or e-mail Lynda Smith-Bugge, Art Center Coordinator, at 703.578.7218 or lsmith-bugge@goodwinhouse.org to reserve. Just two weeks left to see the paintings of Eric Westbrook, professional illustrator and director of Dumbarton Concert Gallery in Washington, DC. April 7 through April 29, 2006. At first glance it’s another pretty painting of an idyllic setting: a rustic building, a brook under a bridge or a set of cement stairs down into the woods. Look again and you see the comings and goings of all things natural and the nature of man. The story here is the harsh yet exhilarating rush of the transitory. Nature is fighting to survive and demanding a place in our engineered lives. In works like Tumble Down and Intersection, cement structures crumble and return to sand as we build new instruments of a civilization hurtling toward something. Eric Westbrook digs to the core of existence. Things in nature die and are replaced; the things we build also decay and are replaced. Yet there is a comfort in his work. These are welcoming places—familiar. Like old family photographs. And if they make us unsure of our superiority over nature’s determination, that’s a good thing. About 10 years ago, he began to paint his personal visions of life. “Some places just hit a chord.” He is captured by visual surprises in out of the way nooks or jarringly familiar urban sidewalks. He starts with sketches and photographs, but most is done from memory in the studio which adds to the enhanced reality with intense dream-like impact. But a work of art is ultimately about shapes, lights and darks, warms and cools and color harmonies. Eric Westbrook goes beyond visual storytelling and is not held captive by the objects depicted—he lets the paint be paint. Eric is a successful professional illustrator. He graduated from the University of Maryland with a degree in Graphic Communication. 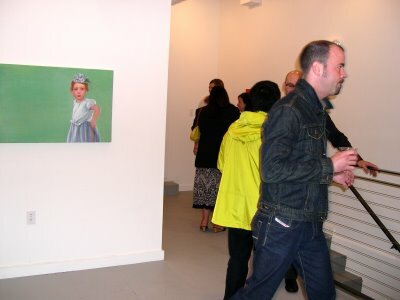 All of his work is acrylic on canvas, illustration as well as his paintings and this has led to a mastery of the media. He has done work for clients in many fields and is a director of the Dumbarton Concert Gallery where he exhibits regularly. You can see and purchase from an extensive collection of his most recent works at his one-man show entitled “Urban Nature” at the Arts Club of Washington, 2017 I Street NW. Washington DC from April 7 through April 29, 2006. 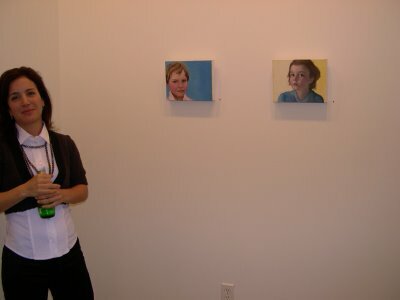 The opening reception is Friday, April 7 from 6:30-9:00. 202-331-7282 x23, or see www.ericwestbrook.com. Jim Magner is a Capitol Hill artist and writer. · In the wrong artist's hands, graffiti-style gesture -- I'm seeing a lot of it these days -- devolves into mannered motif, a 21st-century rococo. Local talent Kelly Towles skirts the pitfall, just barely, by layering street-inspired strokes in engaging pigment prints that mingle photography, animation and graffiti. Also on view in this four-person print show: Donald Sultan's rich, sepia-toned smoke rings; Victor Schrager's drowsy pictures of books; and Robert Longo's photos of his friends performing epileptic seizures on a Manhattan rooftop -- images the artist used to make his iconic early '80s "Men in the Cities" series. 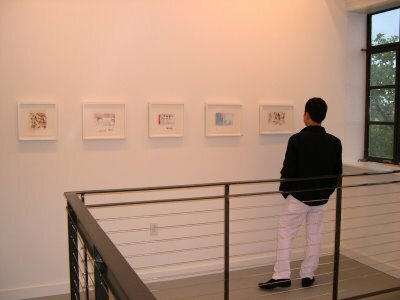 Adamson Editions at Adamson Gallery, 1515 14th St. NW, Tuesday-Friday 11:30 a.m.-5 p.m., Saturday noon-5 p.m., 202-232-0707, to April 29;http://www.adamsongallery.com. Written by DC native Carole Mumin and directed by Helen Hayes recipient, Duke Ellington School of the Arts Co-founder, and Howard University Professor of Theater, Mike Malone, "Where Eagles Fly" vividly brings to life the rich, African American heritage of DC's Shaw neighborhood. Home to many African American scholars, educators, activists, and performing artists such as Mary McLeod Bethune, Carter G. Woodson, Mary Church Terrell, and Duke Ellington, Shaw's rich educational and cultural history provides the setting and impetus for this stunning musical production. "If you have not had the chance to make it over to the Lincoln Theater for the must see production of "Where Eagles Fly", a journey into Shaw's rich history and tradition, you only have until April 19 - so make room in your calendar. Written by Shaw resident and local playwright Carole Mumin, "Where Eagles Fly" illustrates the importance of preserving and passing along the legacies of the communities in which we live. The play uses music, dance and verse to tell the story of the incredibly rich legacy of Shaw, a neighborhood that has been an integral part of the modern development of African American culture. Over 10 years ago, the play made a successful run at the Lincoln Theatre. Now it's back and a must see for everyone, but it will close soon. The Shaw neighborhood has experienced many changes since the early '90's and it's important that its history is memorialized and honored. It's important to support our own and I hope everyone will come out and see this magnificent production. For additional information about the play and to purchase tickets, visit www.whereeaglesflyllc.com or call 939.0560." Washington Post/Frank Van Riper CameraWorks profile of photographer Stuart Klipper. Looking for an affordable lunch or dinner place? DC Artist Mike Weber has opened a wonderful little Thai Place on U Street NW. If you haven't already discovered it, try it soon in the heart of Duke Ellington's neighborhood. Here's a great review of the food. It's no surprise this tiny Thai place is so pretty--it was opened by the team behind the chic Simply Home furniture store and the Logan Circle Thai restaurant Rice. Though there's no (waiting) place to sit, white walls lined with jars of loose tea, candles, and fresh flowers make a zen-cool waiting area. Grab a Thai iced tea ($2.50) and start with the chicken nuggets ($2.95), fried patties of chicken ground with aromatics and served in a paper cup with peanut-chili dipping sauce. Pad Thai ($9.95) is light and balanced, with crushed peanuts, shreds of spring onion, and large shrimp. Sautées, like chicken with ginger ($9.95) and tofu and vegetables with green curry ($9.95), come with jasmine rice and spring rolls on the side. Don't miss the fries combo ($2.95)--a paper cup filled with shards of taro, yucca, and sweet potato. Stopped by Byron's show. It's worth a look! G. Byron Peck lives in Washington DC and has created over 80 murals throughout the United States and abroad. Here in the District, some of his best known murals include the Duke Ellington mural overlooking 13th and U Streets, the DC-Themed montage in Metro Center, and the mural mirroring the DuPont fountain high above the Circle on Connecticut. While it is difficult to travel the streets without running across one of Peck’s larger works, the opportunity to see his smaller works is quite rare. Studio One Eight would like to give the District the opportunity to acquaint itself with pieces they can encounter in a more personal setting. This show will include work Peck completed between 1986 and 2006. Gallery Hours: By appointment and on opening nights only. For all inquiries, 703.395.1932 or info@studiooneeight.com. 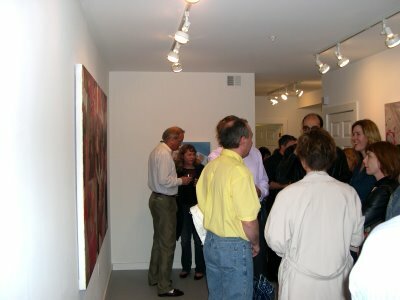 Reception: Friday, April 21, 2006, 6:00 p.m. to 8:00 p.m. Featuring: George Iso, Carlito Rodrigues, Marcus André, Cristina Oiticica, Pietrina Checcaci and Patricia Secco. Opening reception: Thursday, April 20, 6 - 8 p.m.
Juror’s Talk at 7 p.m.
Can a sculpture the size of a kitchen matchbox have monumental impact? In Micro-Monumental, Kristen Hileman, Assistant Curator at the Hirshhorn Museum and Sculpture Garden, has selected 47 tiny sculptures by artists from four regional sculpture groups who sought to answer that question. According to Hileman, this unusual collaboration between Washington Sculptors Group, Baltimore’s Sculptors Inc., Philadelphia Sculptors and New England Sculptors Association is a “microcosm of the world of sculpture in 2006, exemplifying the diversity of artists, their materials and themes in the Northeastern United States.” Washington, DC, a town full of monuments, provides a distinctive context as these artists reinterpret the meaning of monumental with works whose scale belies their presence. Tuesday - Saturday, 12 - 6 p.m.
Hmmmm. 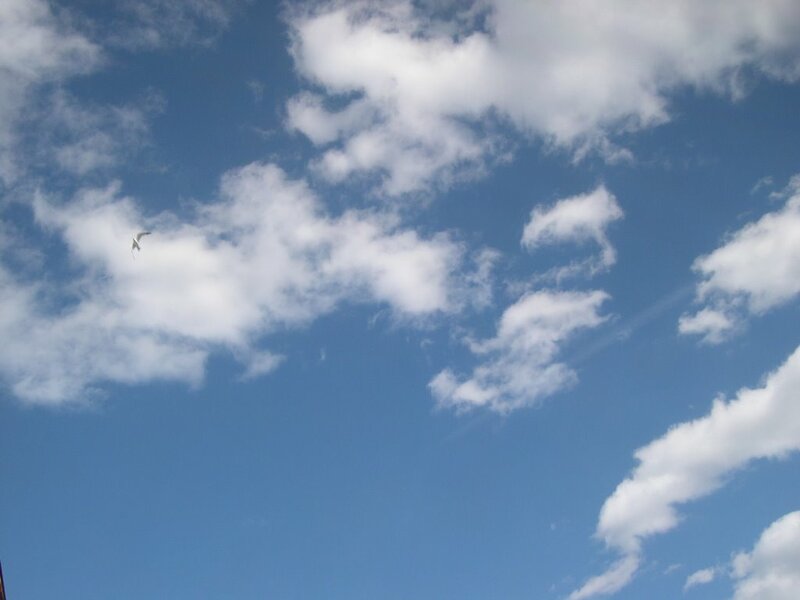 I'm staring at the sky and wondering where did the crows go? Just an observation, we have fewer crows and many more seagulls in our neighborhood. Don't get me wrong. I didn't like the sound of the crows but there was something familiar about their long time caws. Now we're seeing these seagulls and no signs of the crows. The DC website has a start time of 8:00am for closing streets. Expect traffic tie ups, especially if you want to enter downtown via the 14th Street bridge or Independence Avenue. The Metropolitan Police Department will reopen the streets to traffic when they believe it is safe to do so, which may be after the noon hour indicated. Begins right after the parade ends estimated to be some time between 11:00am and noon. The festival ends at 6:00pm. The DC Website, states that streets will be closed for the festival at 9:00am and open at 6:00pm. However, my experience is that streets will not be reopened before all the equipment is completely removed. To minimize traffic hassles, vehicles should head north from Penn Quarter and approach Penn Quarter from the north. The works of art on display at the Washington Convention Center are among the largest public art collections not in a museum. Public tours are led by curator Vivienne Lassman. The $4 million permanent art installation features paintings, sculptures, photography, graphics, and mixed media works created by local, national, and international artists. Concurrent with the explosion of sophisticated methods of appropriation in visual art, music, and most other artistic genres is a mounting confusion regarding America’s fair use laws for artistic pursuits. Responding to the situation, New York University’s Brennan Center for Justice has recently released a report documenting how and when artists are protected by the country’s fair use laws. Anne Marchand, "A Hard Rain"
I captured the inkiness of our pollen washing rain storm tonight, Man o' man the power of Mother Nature even here in Washington, DC. Who's in charge anyway? Anyone thinking, "Lord of the Flies"? This from comedian Chris Douchette's blog about the fight in Dupont Circle on April Fool's. In conjunction with the Dada exhibition, automated musical instruments, including sixteen programmed grand player pianos, play portions of George Antheil's score for the Fernand Leger film, Le Ballet mecanique (1924), on the mezzanine of the East Building. The installation, activated for a ten-minute performance each weekday at 1:00 and 4:00 p.m. as well as Saturdays and Sundays at 1:00 p.m., will continue through the close of the exhibition on May 14, 2006. Leger's 16-minute film may be viewed in the exhibition, without sound. The exhibition NOT TO SCALE will open April 19 at the Target Gallery in the Torpedo Factory Art Center. Curated by David C. Levy, former Director of the Corcoran Museum, Washington, DC, and the Parsons School of Design, New York, this show investigates aspects of size and scale including literal and conceptual interpretations. The Artists' Reception will be on Sunday, April 23 from 3-6 PM. 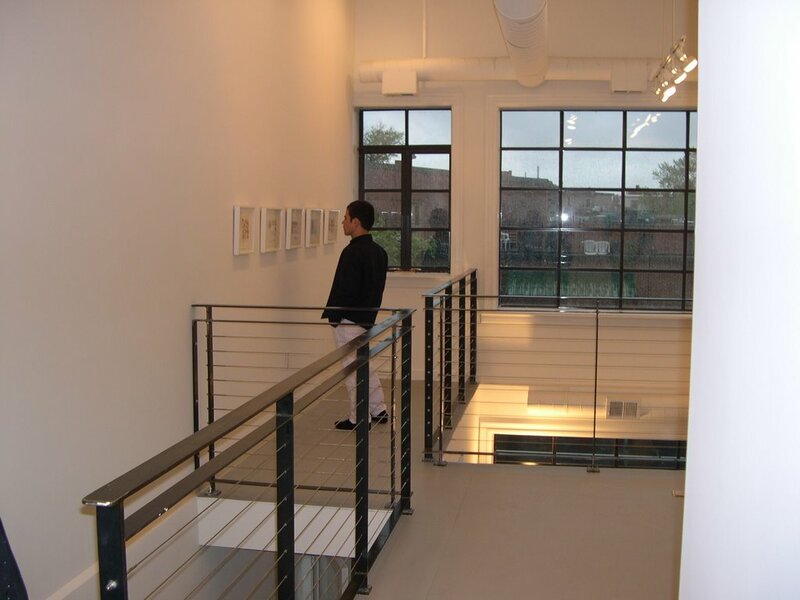 The Target Gallery at the Torpedo Factory Art Center is located at 105 Union Street, Alexandria, Virginia 22314, is open Wednesday through Sunday from 12 to 5 PM.